AMES — Move over Bruce Banner. And Tony Stark. And maybe even Peter Parker. 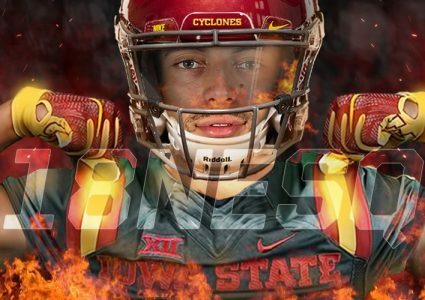 There’s a new Avenger of sorts entering the pseudo Marvel Universe and it happens to be ISU standout safety Greg Eisworth. Eisworth, the Big 12’s Defensive Newcomer of the Year and first team all-conference selection, doesn’t disagree with his origin story, yet he is committed to redefine it. 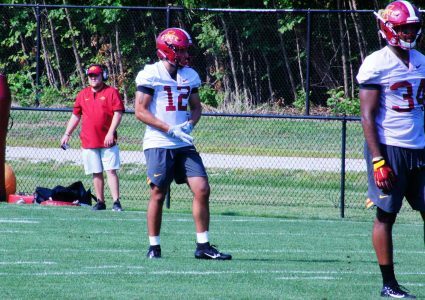 His journey initially took him to Ole Miss and the SEC, but he regrouped at Trinity Valley Community College and joined Coach Matt Campbell’s Cyclone squad last season. Except when it comes to the “Hulk” moments. One occurred during last spring — the first scrimmage, he recalled — and turned the heads of his teammates. They got to know him all right. 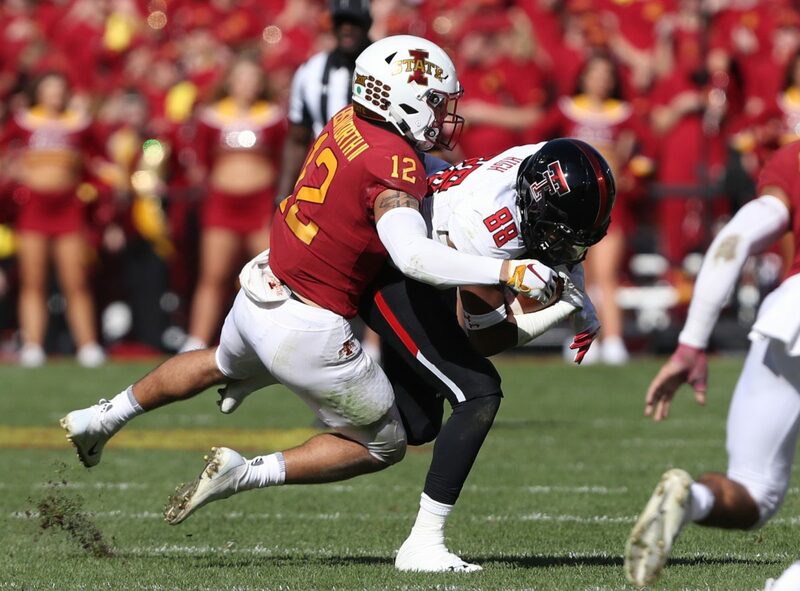 Eisworth led the Cyclones in total tackles at 7.3 in his first season. He beat himself up over a missed tackle on Trey Sermon in the 10-point loss to Oklahoma, but garnered a great deal of respect from his teammates throughout his first season at ISU. Even in leisure time at on-campus apartments. Eisworth plays for keeps — on the football field, or a well-balanced coffee table. “It could literally be anything and we’re competing against each other, so it’s a lot of fun,” Eisworth said. Eisworth approaches a round of play just as he does facing down long, lean and athletic Big 12 receivers, or powerful running backs..
That’s what superheroes do. They don’t flinch (much). They tackle the task at hand — micro and macro — with alacrity and vision.